Ada Onyejike-Ananaba was arraigned at Court 9 Ikeja, on Monday over alleged abuse of her 10-year-old housemaid. 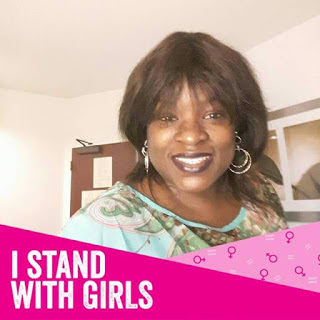 Ananaba, founder of the Girl Child Art Foundation (GCAF), was arrested last December following the rescue of the 10-year-old girl in her home at Omole, Ikeja by the officials of Office of the Public Defender (OPD) in the Lagos State Ministry of Justice. She was subsequently released by the police without being charged to court. She had allegedly been abusing the girl for three years, since bringing her to Lagos from the eastern part of the country. Ananaba, a graduate of Fine and Applied Arts from the Institute of Management and Technology Enugu (IMT), Enugu, who also holds an M.Sc. in Management of Development, with specialisation in HIV and AIDS from Van Hall Larenstein University of Applied Science Wageningen, Netherlands — once told an American audience that girl children were seen as people who were not important in the Nigerian families. The Chicago Council on Global Affairs awarded the 2008 Patricia Blunt Koldyke Fellowship on Social Entrepreneurship to Ananaba, upon which she featured on Chicago Tonight presented by Phil Ponce on WTTW. In the interview, Ananaba said she founded the foundation to build the confidence of girls in a society that discriminates against them. She claimed to have used arts to empower and educate thousands of young women where sons are more highly valued than daughters and many girls drop of school at a young age.